Having to choose from several hundreds of photos, I have a hard time picking my favorite pictures of Maui. I guess this is what happen when you are a 'photo freak' (who? me?... pfff...). Some of my favorites photos of Maui are technically better, others are simply full of emotions and memories. All of them make me smile. And this is all that really matters! So here they are, my three favorite pictures of Maui... for now! So let's see those pictures of Maui before I change my mind again! I decided to share three magic moments related to three different faces of Maui's wonderful nature: volcano, forest and ocean. Hope you like them. Please, go ahead and share YOUR favorite pictures as well. I should not be the only one here having a hard time deciding which one to pick! I remember this moment as if it was yesterday. It was early in the morning. 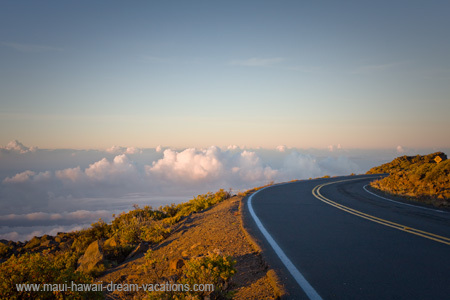 For the first time, we were slowly driving, my girlfriend and I, up to the top of the Haleakala Volcano. We didn't know what to expect. We were told the view was fantastic along the road. Fantastic was not the right word... The sun was rising over the clouds. The light was surreal. It was breathtaking. We had to stop. We were standing along the wining road, all alone in perfect silence, witnessing the beauty of nature at its purest. What a magic moment! The Road to Hana is exceptional. It will stay on my mind forever. One of my favorite moments on the road to Hana Highway happened at the very beginning. Between the 9 and 10 miles markers is a short trail called the Waikamoi Nature Trail. Maui Hawaii - Road to Hana. Once on the trail, my girlfriend and I felt completely immersed in an impressive forest, filled with huge towering eucalyptus, strawberry guavas and more. We walked for a few minutes, feeling like lilliputians, enjoying the forest's cool atmosphere filled with eucalyptus perfume. We ended up on the edge of a small cliff. On our left, we could see the Hana Highway beneath. On our right, an incredible bamboo forest seemed to filled the entire valley. This special moment was a real surprise. And it is part of the reason why I still remember it so clearly. We were heading back to our Huelo rental after a full day of hiking. We were starving. So we made a quick stop in Paia to buy something to eat at our favorite grocery called Mana Foods (a must-see). The sun was setting, the air was warm. We didn't want to go back 'home' yet. We decided to follow the road to a nearby beach called Spreckelsville Beach. It is well-known locally but we knew it was no top 10 material in terms of beauty, quality of waters and tranquillity. We didn't have high expectations. All we wanted was to enjoy the day a few more. We arrived on Spreckelsville beach just on time to witness an incredible sunset. The light was amazing. In the distance, the stunning mountains of Iao Valley were plunged in a surreal foggy atmosphere. Looking for Large Format High-Quality Prints? If you like one (or many) of my pictures of Maui Hawaii, you can order High-Quality Prints right from my website. Choose from a large variety of Standard Prints, Framed Prints, Canvas and even Custom Greeting Cards. I made it very simple for you to order. All you have to do is visit My Photo Gallery, choose the photograph(s) you like, select size, frame style, etc. Thanks to Fine Art America, your transaction will be processed safely and seamlessly in seconds and your prints will be shipped directly to you. Follow one of these links and you will be able to download original Pictures of Maui files in seconds and for a very low fee (Royalty Free). Capturing a magic moment on photos is wonderful. Sharing those magic moments with others is even better. 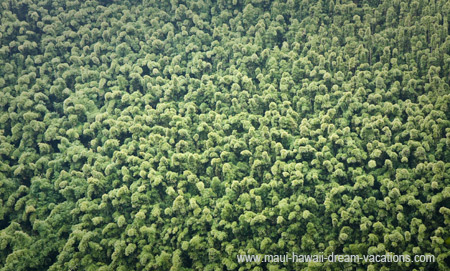 I am sure you too have special moments and pictures to share with Maui Lovers. Don't wait any longer and share your all-time favorites here! Your story and pictures will appear on a Web page the way you enter it here. You can wrap a word in square brackets to make it appear bold. For example [my Story] would show as my Story on the Web page containing your story. 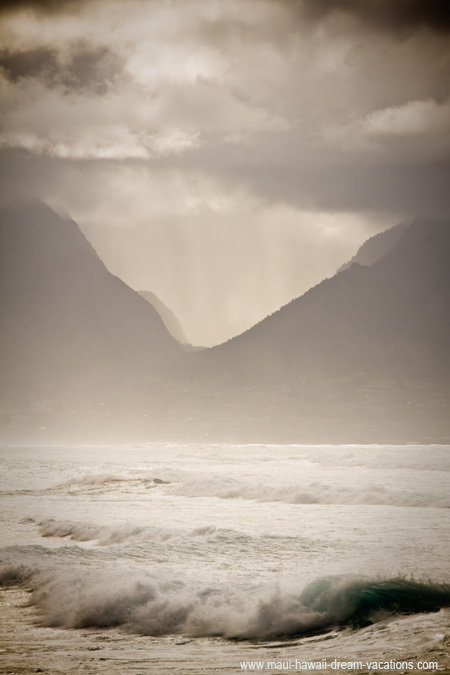 Click on the links below to see some great Maui Stories and Pictures. They were all written and taken by other visitors to this page.